Prime Minister Narendra Modi today addressed a huge gathering of BJP party members and followers at Swaraj Round. 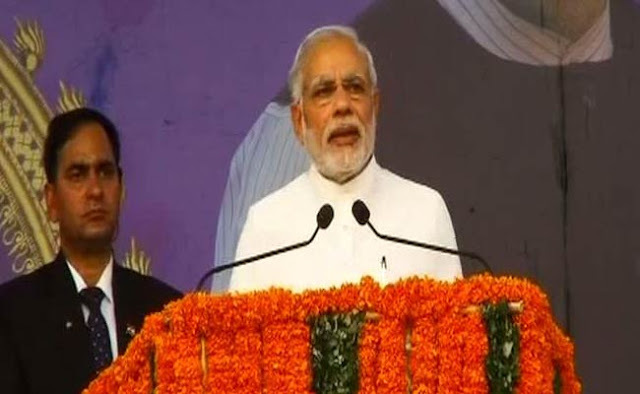 Modi in his speech apologized to the people of Kerala as his visit to the state took more time. He said he wanted to visit Sabarimala to offer worship but wanted to visit the shrine when there would be 'minimum discomfort' to the pilgrims. The PM in his speech criticized both the ruling UDF and also opposition LDF for its policies in the state.The Prime Minister also extended Christmas and New Year greetings to the people of Kerala. Watch the video footage of the PMs speech here.